Want to propose someone and confused what to buy, then this combo will work wonders for you. 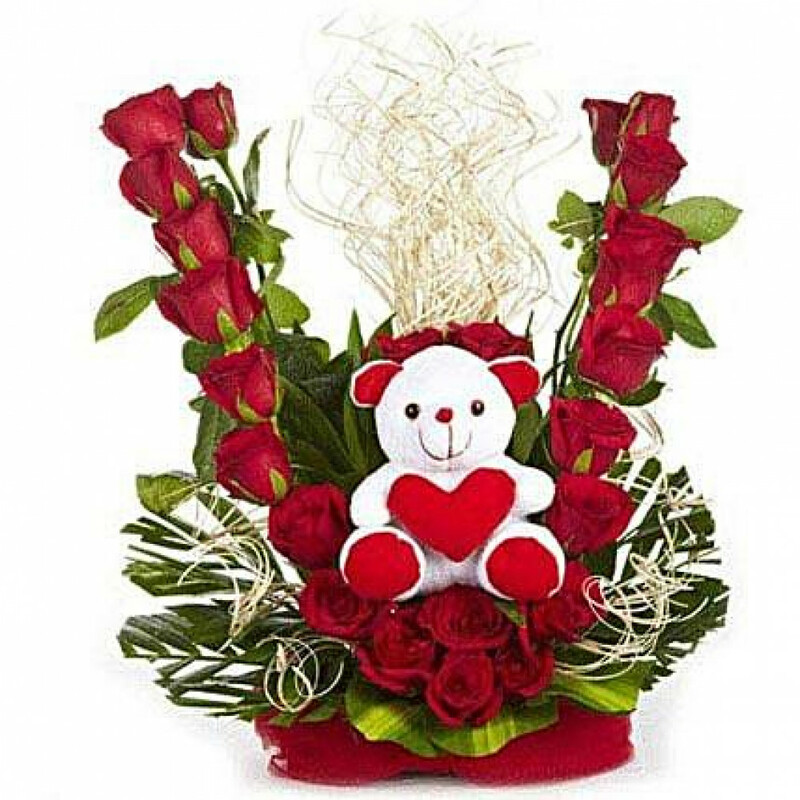 An arrangement of Red roses with cute teddy bear and lot of fillers and dry sticks will definitely surprise them and make their day. Your loved one will feel elated on receiving this adorable combo.